We've been helping couples and families for over 50 years and never before have we created a resource like Transform Your Marriage in 31 Days! We are not offering you a magic formula for success, but rather a 31 day experience that sets your relationship up to succeed because of proven marriage education, in-depth devotionals, and creative date night inspiration. Sometimes the typical marriage study can feel overwhelming and impractical. 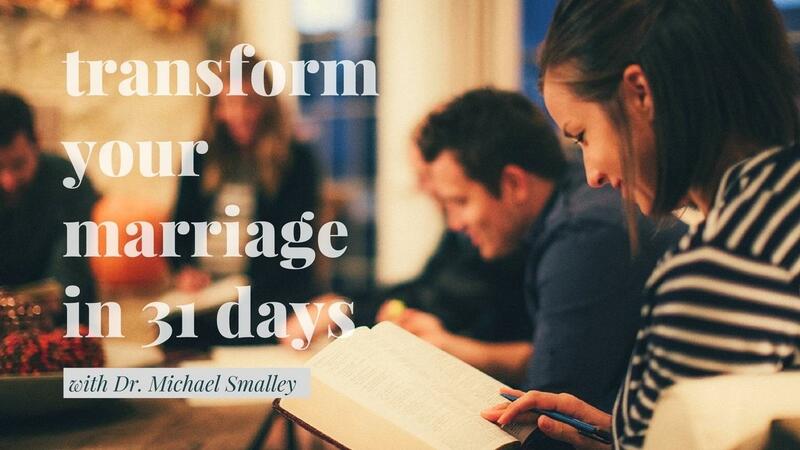 Transform Your Marriage in 31 Days is something completely new. We have taken the guess work out of "what can help" and created for you an experience where we "drip" the most important education, devotions, and date night inspiration to you each week. At the end of 31 days you will have learned the most critical marriage enrichment a couple needs to have a dynamic marriage. Your spiritual lives will be in sync with each other, and you'll have had some of the most fun you've had together in a long time!